Two year old Seeiso waddled into our lives in November 2014 with severe malnutrition and an untreated cleft palate. 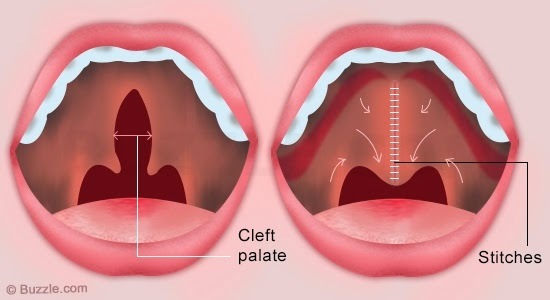 At 7 months old a doctor visited his local clinic and identified the cleft palate and recorded it in his health book. However, the condition was not explained to the clinic staff and, as they did not know what it meant, it was ignored. We found Seeiso whilst on Outreach and, at -3SD below median, we immediately admitted him to the Safe Home. Outreach staff reported that he was regurgitating food through his nostrils. We ran a full assessment on Seeiso and reviewed his health book, which is when we saw the doctor's comment about the cleft palate. TTL Safe Home Supervisor, 'M'e Lehela, got right on the case and reported his condition to Queen Elizabeth II Hospital and scheduled a surgery. It is now March and finally the time has come for his surgery. Seeiso has stayed with us at TTL Safe Home since October and we have monitored his health, nutrition and development very closely. He is now a healthy young boy, ready to withstand the wear and tear of surgery. We picked up Seeiso's mother from her home in Thaba Tseka and she stayed with us on campus over the weekend, rekindling her relationship with her son after almost 5 months apart. We then transported both mother and son to Maseru for the operation yesterday. We have arranged accommodation and return transportation for Friday when both mother and son will return to their home village. We hope this will be a life changing surgery for little Seeiso and we will continue to monitor his recovery and development as we go.